I had a user ask for Windows 8, so that they could assist customers through our processes in the new Windows 8 environment. We are not ready to deploy Windows 8 as an organization, but for testing I figured it would be ok and a great way to use the Windows Virtual PC role on their Windows 7 system! I figured wrong. 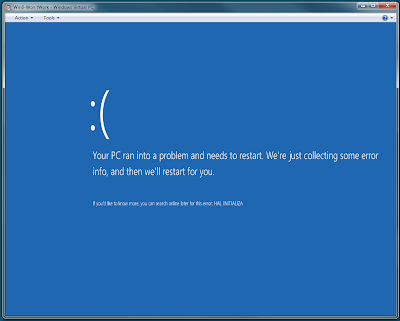 After initially creating a blank Virtual PC on my Windows 7 system - to build the Windows 8 machine, I popped in the Windows 8 32bit ISO file in the virtual CD/DVD drive, turned on the Virtual PC, and I was greeted by the following blue screen frowny face. 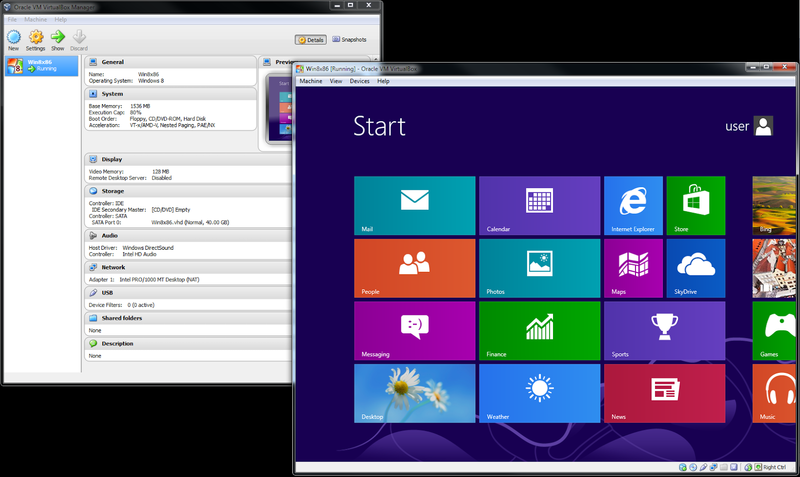 Long story short, you can use Windows 8 on other Virtualization software - such as Hyper-V, VirtualBox, VMware, etc. 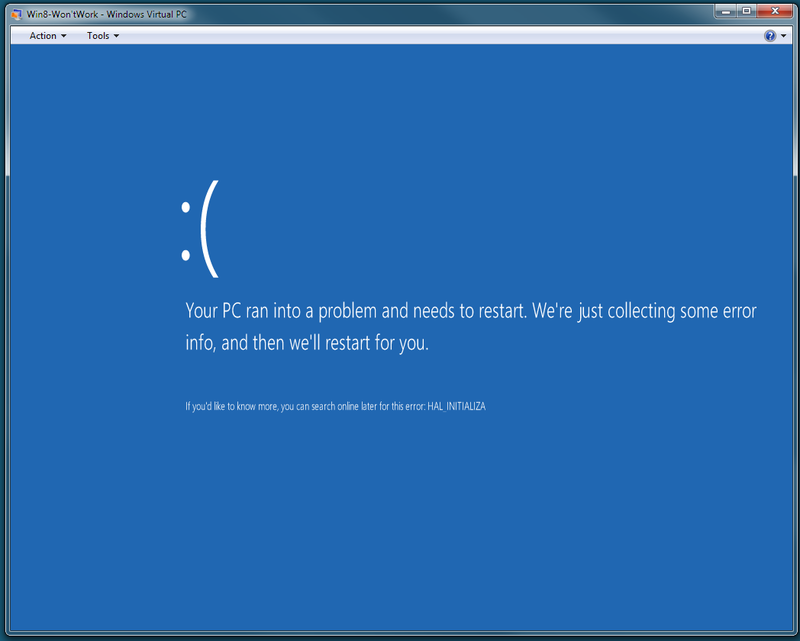 - just not Windows 7's Virtual PC. I ended up creating a VirtualBox Virtual Machine for the user. When I did this a few weeks ago, there was still some integration issues with VirtualBox with the sharing of files, attaching USB devices, and clipboard, but it works well enough for her to test.